I don’t know if you’ve noticed but there’s been a bit of controversy surrounding former Attorney General Kathleen Kane and the AG office as a whole. In an attempt to respond to the uproar over all that, incoming Attorney General Josh Shapiro revealed that he is hiring a Chief Integrity Officer. The position is going to Eric Fillman, who currently serves as Counsel to the Pennsylvania House Committee on Ethics. Fillman graduated from LaSalle College and the Widener University School of Law. 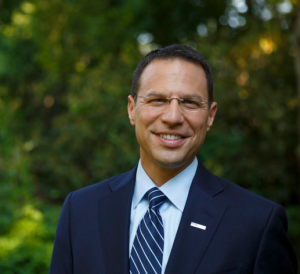 A great choice by Josh Shapiro that sends a clear message that the missteps of Kathleen Kane will not be continuing! Nobody does a better job in presenting ethical principles and precedents in a compelling and thought-provoking way–in both lectures and personal conversations–than Eric Fillman does. He positive impact on his new office should be both immediate and continuing . Diano: I’m sure he’ll pick one with a vast experience in law enforcement. Mike Vereb isn’t busy right now. What about all the previous AG’s who allowed the emails and other improper behavior? Must be nice to get to pick the investigator. Of course, look at what happened to the PA Supreme Court Judge Eakin who got his buddy to “investigate” (ie cover-up) his emails for the ethics board. Diano: Who investigates the investigator? Kane accidentally discovered the emails and rather than turn them over to an independent agency, since her own employees were involved, she decided to use them as a political weapon. Her name should be removed from any document in the Ag’s office and her office space washed down with bleach. May we never see her likes again. I’m certainly not a Republican. Conspiracy tends to move from “theory” to “warrants investigation” when a candidate reports a sudden and VERY large donation from an organization most of their fellow party members oppose. If there are quid-pro-quo actions (like failing to investigate a PAC that routinely bribes every politician that will sell their vote), that would demand an investigation. I haven’t seen any significant investigations into donations from oil/gas, gun and charter school PACs, despite all the obvious quid-pro-quo votes. With all that money floating around from these PACs, I often wonder how much is unreported and funneled from “donors” directly to the candidates in plain envelopes behind closed doors. Then, of course, is all the legal work sent to law firms of donors and the firms hiring relatives that is hard to trace. Policing PA ethics would require nearly as many investigators as there are elected officials. Definitely all Republicans commenting. All I see is conspiracy theories. Glad I voted for Josh. Well, Josh should be at the top of the investigation list. He took a ton of money from the Charter School PAC in the primary and waited until the last moment (mere days before the election) to report it. The teachers immediately retracted their endorsement, but it was too late to make a difference. Shouldn’t Josh Shapiro be the “Chief Integrity Officer” as Attorney General? This looks like window dressing with via a made up hack position to me. I agree with Diano: look at the large donations and also look at that PennDOT scandal. There are too many Montco connections there to be coincidence. So some people don’t like the tax. Where’s the deception? Thanks David Diano for pointing out two areas for initial investigation. I would add the highly organized and politically motivated blatant deception by the PhillyGOP surrounding the city’s newly enacted “soda tax” imposed on the bottlers & distributors, NOT the consumers as they’ve been led to believe. Well, Kane exposed the cozy, unethical relationships between judges and prosecutors. Let’s hope that Fillman keeps an eye on that. Fillman might also want to look at the quid-pro-quo votes/actions between politicians who receive large donations from the oil/gas industry as well as charter school PACs. Someone from the PA legislature knows about ethics? I suppose it is possible, since he had lots of material to study.